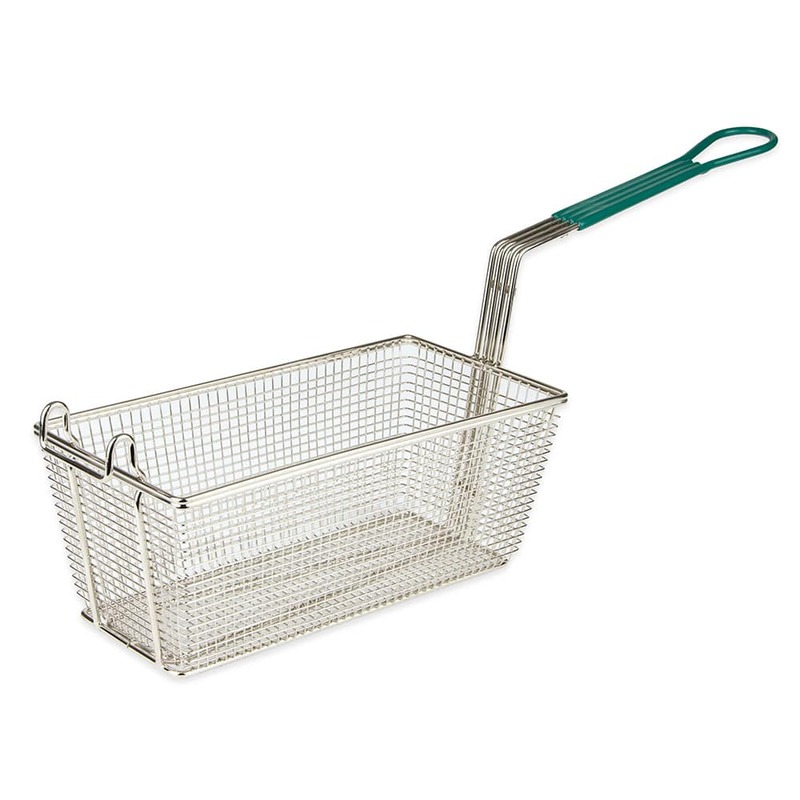 Update FB-126PH Fryer Basket w/ Coated Handle & Front Hook, 12.875" x 6.5" x 5.125"
Fryer Basket w/ Coated Handle & Front Hook, 12.875" x 6.5" x 5.125"
Dimensions of: 12-7/8 in. x 6-1/2 in. x 5-3/8 in. "Best price i can find for the same quality, will order again." Current Item: Update FB-126PH Fryer Basket w/ Coated Handle & Front Hook, 12.875" x 6.5" x 5.125"
Winco FB-10 Fryer Basket w/ Coated Handle & Front Hook, 12.13" x 5.38" x 6.5"
Browne 79213 Fryer Basket w/ Coated Handle & Front Hook, 12.5" x 6.3" x 5.3"
Browne 79216 Fryer Basket w/ Coated Handle & Front Hook, 12.5" x 6.3" x 5.3"